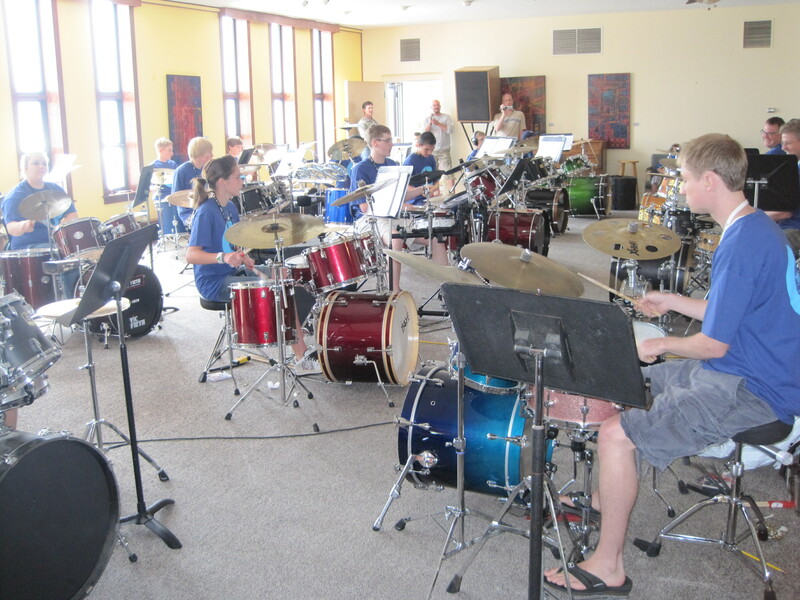 This spring, the Headwaters School for Music and the Arts (HSMA) received an Arts and Cultural Heritage Grant from the R2AC that helped cover the costs of hosting the 2nd Annual Lakes Area Drum Camp. The camp took place all of last week, culminating with a concert Friday, August 6, that was open to the public. Throughout the week, campers were instructed by Eric Sundeen, Ben Anderson, and Tom Buckley. They received a special jazz workshop from Dr. Terry Vermillion of St. Cloud State University. The workshop focused on using brushes rather than sticks and the impact such changes, and others, can have on music. Ryan Inselman, the drummer for popular G.B. Leighton gave a special clinic on transferring drum line/marching band perspectives to the drum set. HMSA set up a sound studio so that students would have the opportunity to record and listen to themselves, an opportunity most people never have. This camp was open to all levels of drummers. R2AC is proud to sponsor events such as this that nourish the lively arts scene thriving in our region. These types of opportunities encourage the next generation of artists to recognize their potential, hone their skill, and hopefully make art an integral component of their lives. Click here to watch the “In Focus” segment on the drum camp that aired on Lakeland News. For more information about Headwaters School for Music and the Arts, visit their website. Next postCultural Connections Community Celebration!